Shelburne Kinettes & Shopping With Santa Craft Sale November 26, 2016 Held At C.D.R.C. My Crafty Neighbour (MCN) Annual Craft Sale & Fundrasing Event for Sick Kids Hospital, Annual Success! (LtoR) MCN owner, Tara De Dominicis McCreadie with her niece, Alani and MCN Owner, Laura Meakings. Click image above for more info and photographic coverage. (LtoR) New Chief Warrant Officer 1st Class, Daire Bowler, Commanding Officer, Capt. Chris Luxemburger, and Former Chief Warrant Officer 1st Class, Kaitlyn Osmond cut celebratory cake during the 2016 Changing Of Command Ceremony held at Shelburne's Royal Canadian Legion 220 Branch November 24, 2016. Click image for more photographic coverage. Video coverage coming soon. (LtoR) Widows Son's Dufferin Chapter Member Ken Topping, Warrant Officer 1st Class, Daire Bowler, Chief Warrant Officer 1st Class, Kaitlyn Osmond, and Air Cadets Sponsoring Committee Chair, Kevin Bowler. Click image above to visit their website. This presentation was made during The Changing Of Command Ceremony held November 24, 2016. More video and photographic coverage of this event coming soon welcoming new recruits, awards and more. Giving Back & Thinking Outside Of The Box! Pastor Gord Horley's wife,(L) Kate Horsley and Ladies Ministries Co-ordinator Helen Milley(R) stand with the fruits of their Church, Abiding Place Ministries' labour of love, filling 100 boxes with very useful presents being sent to those in need via the Salvation Army in Orangeville who will arrange transportation, arriving to children around the world. As part of The Samaritan's Purse, their Operation Christmas Child Project has blossomed to the point where the organization can proudly boast reaching 135 million shoe boxes having reached as many children. Each show box is filled with items from a list provided and suggests the boxes be filled with items such as baby powder, scarves, beads, coloring books, pencils and sharpeners, sewing kits, soccer ball and pump, tools, tooth brushes, windup flashlights, craft items, dolls and hair accessories which are just a few mentioned on a list totally 100 suggestions. There are five things to remember: No Food Items, No Used Or Dirty Items, No Liquids Or Items That Can Leak, Melt or Freeze, No Breakable Items, No Items That Could Scare Or Harm A Child. Shoe boxes are also filled with age appropriate items to accommodate children of all ages. Last year, in their first year, Abiding Place Ministries filled 30 boxes which is commendable and this year to reach 100 boxes is astounding and wonderful. It's definitely THE GOOD STUFF! If you are interested in the Samaritan's Purse' Operation Christmas Child contact 1-800-303-1269 or visit SamaritanPurse.ca for more information. To Contact Abiding Place Ministries, Click here. Margerit Bebawy, (Above)Pharmacist and Owner of Caravaggio I.D.A., welcomed Shelburnites on November 17th for a Ladies Night Event featuring in store savings, vendors, treats and more! Click on image (Above) to see more photographic coverage and keep your calendars open for their next Ladies Night Event! Santa & Althea Casamento of ACCE Photography Hosted A Christmas Market at Shelburne's CDRC bringing local vendors and vendors from outlying areas to Shelburne For A Wonderful Shopping Experience. Click image (Above) to visit our November Photo Gallery for more photographic coverage. Scroll Down. These Photos taken by Alex Sher. For Professional Christmas Family Photos, Contact ACCE Photography. Click here. The Ladies Auxiliary Held their Annual Christmas Craft Show At Shelburne's Royal Canadian Legion 220 Branch On November 19, 2016. Click image (Above) for more Photographic Coverage! The Shelburne Residence Opened It's Doors To The Public Holding Their Annual Christmas Craft Show On November 19, 2016. Click image (Above) for more Photographic Coverage. Fiddleheads Pub, located at 112 Main Street W. is filled with Irish charm and is the perfect place to stop for a pint and a lamb slider on the way to the cottage. With an extensive menu of complete made in house recipes, Fiddleheads offers their best seller, Potato Leek Soup, along with Chicken and Beef Pot Pie, and Bison Shepherds Pot Pie. Owners Jacqueline Fretz and Robert Costelloe are very proud to confirm there are no fried foods served and even hamburgers are oven baked. Important to note is the fact that Fiddleheads is not a Tavern, reflective of a way of life, most visitors stop in, have a healthy snack, catch up with friends, share a pint or glass of wine from one of 14 different selections offered. in the near future Fiddleheads is hoping to have solo artists performing live Fiddle, Flutes, and Celtic Music.Coming soon, for customer convenience will be free transportation service for both pick up and return home within a fifteen minute drive from Fiddleheads for those who are concerned about drinking and driving. (Lto R)Owner Jacqueline Fretz, takes a moment to be congratulated by old friend, John Ramey who is very pleased his friends have chosen to located their new Pub in Shelburne as it's the perfect location to break a journey. Fretz and Costelloe feel the same as the have admired Shelburne's quaint small town feel and often thought how wonderful it would be to break their journey in Shelburne while enroute to their cottage. Fiddleheads is open seven days a week from 11a.m. to 11p.m. and last call will happen just before eleven. Important to note, food can be ordered for takeout as well and there is a banquet room available for special occasions. 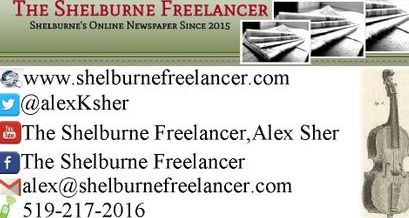 Wishing you all the best success from The Shelburne Freelancer, Shelburne's online Newspaper. You Can Find Fiddleheads on Facebook. "Free Public Skating continues every Sunday at the Centre Dufferin Recreation Complex from 1:00 to 1:50pm. All you need is some friends, family, skates, and a desire for a great time. And if you have toddlers who aren’t ready to be skating with the big kids, come on Wednesday mornings for FREE Parents and Tots skating from 10:30am to 11:20am. The CDRC will host Free Public Skating on PA Day Friday, November 25th from 1:00-2:30pm. Public skating will be cancelled on Sunday, November 27th. The Old Time Country Jamboree is back. Come to the CDRC on Sunday, November 13th for an afternoon of dancing, socializing, meeting new friends and just a whole lot of fun at the Old Time Country Jamboree from 1-5pm. It is an open mic afternoon, so feel free to join in. Admission is $5 and light refreshments will be available. Sponsored by Picking in the Park. The Shelburne Christmas Market will be held at the CDRC on Saturday, November 19th from 10:00am to 3:00pm. There will be Christmas photos with Santa and raffles. All cash donations and proceeds from the raffle sale will be donated to Family Transition Place. A used clothing box will also be at the entrance of the sale. Come out and support your community and local businesses. Get your booty moving and join Zumba fitness classes at the CDRC on Monday and Wednesdays mornings from 9:30 to 10:30am. If you’re more of a night dancer, join us on Tuesdays and Thursdays from 7:30 to 8:30pm. Bring your friends and have fun dancing and getting into shape. Admission is $5 and your first class is free!The CDRC is home to Shelburne BW Taekwondo. Join Taekwondo classes and build your confidence and self defense skills. Kids’ classes are held Mondays and Wednesdays at 6:30pm and Adult classes are Mondays and Wednesdays at 7:30pm. Programs run year round, sign up anytime. Contact Bernie or Linda (519) 925-9254 or shelburnetaekwondo@outlook.com. This update generously provided by, Kim Fraser, CDRC Facility Administration Manager. P.A.W.S (Personal And Workplace Safety) Conducted Certifiacation Day At Grace Tipling Hall Recently. Above (LtoR) Denise Holmes, Kim Fraser, & Nanci Malek also participated in the certicifaction Course Offered by P.A.W.S. Saving a life can be a very rewarding experience and the training needed to do so is available and organization called P.A.W.S. (Personal And Workplace Safety), experts in Emergency Safety Training. While saving a life can be rewarding, the experience if not done properly, can be devastating. Important training is conducted by trained professionals like trainer, Doug Rupay as seen in photo , also with the Rosemont District Fire Department(L) informing two Town of Shelburne Employees, (LtoR) Tony Fernandes and Brent Eby. Contact P.A.W.S by clicking on the above image left, if you would like to arrange a session to certify your employees, or group of friends and family and take advantage or the wide variety of safety information sessions P.A.W.S has to offer. Perhaps one day, you will save a life! In an unprecedented political electoral upset, Donald J. Trump is the 45th President of the United States of America. While very few could have predicted the take down of key democratic states, Donald Trumps campaign somehow managed to pull off this highly unexpected win appealing to voters dissatisfaction in Democratic policy. World leaders are stunned as a result of Trumps win and many Americans are now frightened over their unpredictable futures as the world reviews Trump's previously made promises on the campaign trail. It's no secret that Trump holds no real affection for Canada and now Canadian Politicians reveal concern over trade deals, and other Canadian- US agreements. Trade Markets across the board plummeted as expected following any election but the world is waiting to see what the fallout or progress will be within the next 100 days. The one and only certain aspect of the Trump victory, is the uncertainty. Questions are already arising over the possibility Trump will not be able to unite the Republican Party and after such an unprecedented electoral election filled with rhetoric the likes the US has never experienced before, US undocumented immigrants are frightened to be deported. These are just a few of the promises made by Trump during the electoral process: the wall in Mexico, NAFTA, the abolishment of everything OBAMA, gay marriage, LGBT community, Black Lives Matter..Moving forward in an uncertain future, Canada will feel the fallout. What that fallout will include is a suspenseful prospect. Perhaps hoping the best is all the world can do now. Each year The Little Family present their highly locally anticipated Halloween Event, A Haunt In The Park held at Shelburne's Fiddle Park. They ask that participants bring canned goods in support of Shelburne's Food Bank, the Shepherd's Cupboard. Monetary donations are also accepted. The event is very demanding on the family and takes few weeks to set up each year, and each year this family not only bring a fun filled spooky local event to the Shelburne Community, they also impact the Shelburne Food Bank, The Shepherd's Cupboard in a very big way. "From October to Christmas is our biggest donation time and we absolutely count on the ones in October - Centre Dufferin Student Council, Farm Credit Insurance, Little's Haunted House and Shelburne Firefighters at Christmas, along with many other donations - people giving food in place of a gift to someone or making a donation, from family parties or come and go teas, etc.- to get us through the leaner times when donations are much fewer - February to September. The Littles' are very community minded and not only do the Halloween Haunt but also choose a charity at Christmas to collect donations for. We are very thankful for their help in keeping our shelves full. This year the Littles' brought $4,685 and 450-500 lbs of food and donations to The Shepherd's Cupboard. The Littles' enjoy hosting the spooky event and have become a much relied upon event in the way of positively impacting the Shepherd's Cupboard. Many "Little " relatives descend upon Shelburne to help out from for the weekend and come from all over the province. A family affair that brings spooky fun to Shelburne and provides Shelburnites a way way to help our local Food Bank and it's the good stuff! Thanks to Little family for all they do for their community! Click here to visit October's Photo Gallery for more coverage of the Haunt In The Park 2016. Garden Discussion Not Over For The Shelburne & District Horticultural Society. Click image below to visit their website. Master Gardener, Anna Suave and Horticultrual Director, Colette Whiting.Thanks to Bev Long for photo. 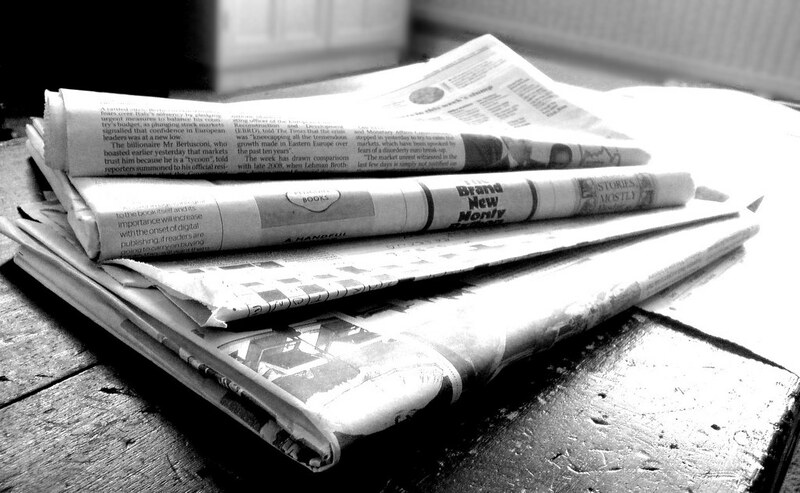 Special Thanks to Cathy Brown of the Shelburne Horticultural Society for submitting the above media release. Quilts of Valour Dufferin Working Hard In Preparation Of November 1, 2016 Presentation Of Handmade Quilts Given to Veterans! On November 11, 2016, Quilts Of Valour Dufferin Members will have the very satisfying pleasure and honour to present Veterans with handmade quilts they hare worked tirelessly on over the last year. The Presentation will take place November 11th during Shelburne Royal Canadian Legion, Branch 220's Remembrance Day Dinner Ceremony held at the Legion's Warrior Hall.The Event is charged with gratitude for Veteran's service and is a very emotional event as Veteran's get remembered in this wonderful way. Thanks Ladies! Looking forward to it! The Town of Shelburne Ontario is one of 150 lucky recipients of a Canada 150th Celebration Garden, being distributed across Canada, in celebration of the Canada’s sesquicentennial in 2017. Each of the 150 communities involved will plant 1,000 red and white tulip bulbs this fall in preparation for Canada’s upcoming sesquicentennial celebrations. The tulip is an international symbol of friendship and of spring. Additionally, the gardens celebrate the Dutch-Canadian gift of 100,000 Dutch tulip bulbs, sent to Canadians in 1945 as a symbol of appreciation for the role Canadian soldiers played in the liberation of the Netherlands and the hospitality Canada provided to the Dutch Royal Family during WWII. Shelburne’s garden and the other 149 gardens planted across the country, will be symbolically linked to the flagship 150th Celebration Garden Promenade, consisting of 25,000 tulips donated by Vasey’s, located adjacent to Niagara Falls. Shelburne BIA and The Town of Shelburne would like to thank Linda Amour Grant for submitting the winning Friendship Tulip Garden application. The contest was sponsored by Canadian Garden Council, Vesey’s Bulbs, Canada Post, National Capital Commission, Canadian Tulip Festival, Canadian Nursery Landscape Association, Garden Making magazine, Chimpanzee, Baxter Travel Media, Enterprise Canada, Gardens BC, Québec Gardens’ Association and the Ontario Garden Tourism Coalition. “We feel very fortunate, to have received one of these Gardens, the organization behind the Friendship Tulip Garden program; the Canadian Garden Council, received more than 400 applications," said Mayor Bennington. Shelburne’s garden will be in the shape of the Canadian Flag and will consists of 500 red and 500 white tulip bulbs, also donated by Vasey’s Bulbs of Prince Edward Island. The Above Information provided by Shelburne's EDC Marketing Coordinator,Carol Maitland. The Town Of Shelburne & Shelburne's Royal Canadian Legion Collaboratively Produced A Hometown Hero Banner Tribute To Our Beloved Veterans That You Will Never Forget! 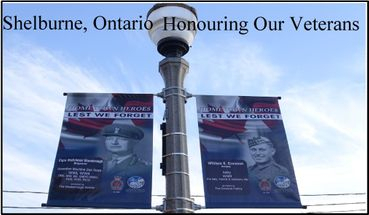 Shelburnites can now proudly walk Shelburne's Main Street in awe and admiration of the first of many Hometown Hero Banners honouring our beloved veterans. In a collaborative effort on behalf of the Town of Shelburne and a newly formed committee at Shelburne's Royal Canadian Legion,The Hometown Hero Banner Committee, 26 banners featuring our very own Hometown Heroes are now unveiled. The unveiling ceremony took place appropriately on November 1, 2016 and was held at Shelburne Town Hall. Although other communities have taken part in a Hometown Hero project, there is absolutely nothing like noticing your loved one's face, our heroes, correctly above our heads, with only the sky as a backdrop, somehow protecting us still as they done before. A deeply emotional experience for all who attended, FaceBook was buzzing in delight as Main Street shoppers noticed that on every street light post, a Hometown Hero smiled down on them. Once the 2016 banners are taken down, they will forever hang in Shelburne's Royal Canadian Legion for all to admire, never to be forgotten. For more information about this wonderful project and for questions regarding 2017, contact Shelburne's Royal Canadian Legion at 203 William St, Shelburne, ON L0N 1S0 or call (519) 925-3800. For those who couldn't attend, please enjoy the following video. Click Image Below. Above: Former Shelburne Mayor, Ed Crewson, stands under the banner of his father, William E, Crewson, Private: Army WWII, The Italy, France, Germany Star. Above : The Wallace Family stand under their banner of their father, Kenneth John Wallace, Private: Airforce 421 Spitfire, WWII. Above: Shelburne's Hometown Hero Commitee :(LtoR) Shelburne's Royal Canadian Legion 2nd Vice President, Linda Orvis, Legion President, Lesa Peat, Shelburne Mayor Ken Bennington, Councillor Dan Sample, Kyle Fegan of Impact Kreative. Click image (L) for more photographic coverage . & Let The Savings Begin! Trying To Save You Money!